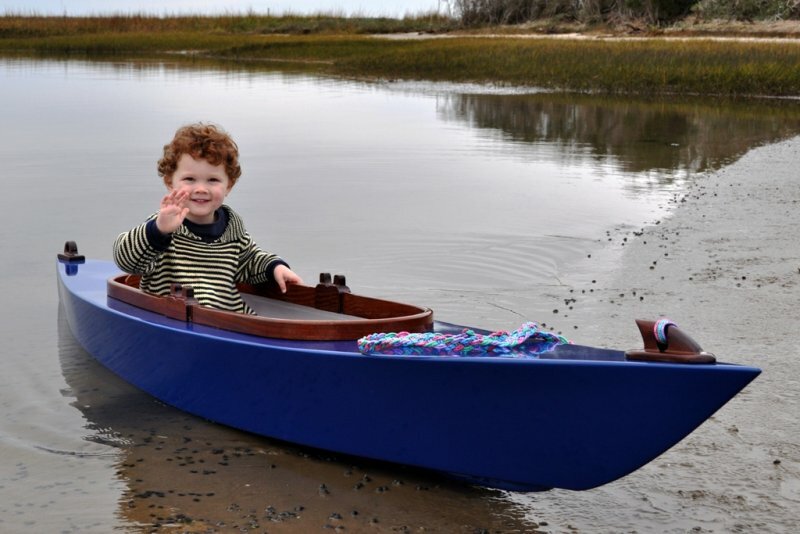 Max Buckland couldn't be happier with his 9′ Kidyak, MAXINE, built for him by his grandfather Alan Deforest of Wilimington, North Carolina, and presented to Max on Christmas Day, 2011. 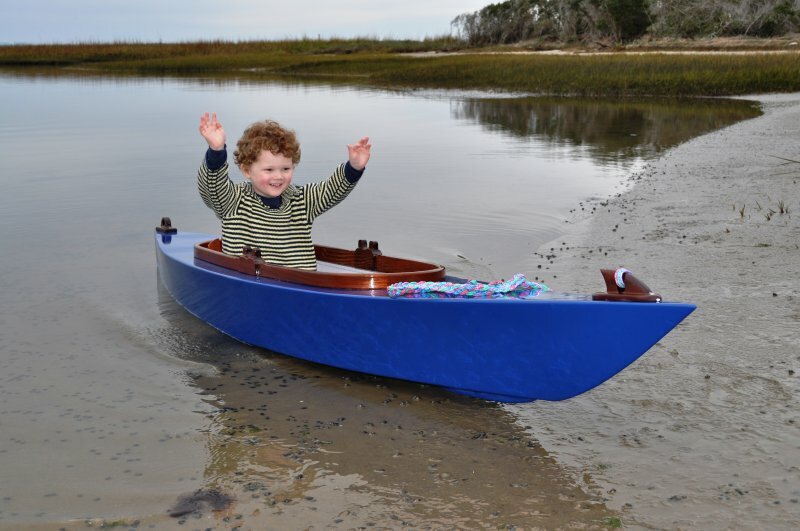 MAXINE is a stitch-and-glue mahogany design created by Glen-L, designed with sealed floatation chambers fore-and-aft. Alan made the Adirondack-style seat, coaming, and chocks from mahogany also. He sheathed the entire hull in fiberglass and epoxy. Glen L Designs, 9152 Rosecrans, Bellflower, CA 90706; 562–630–6258; info@Glen-L.com.